Game of thrones is the most watched TV show in history and already moving towards the final stages of season 7 and we will have the sixth episode (Beyond the Wall) of the seven going on air tonight Sunday, 20th August 2017 on HBO in the United States. While UK viewers can watch the sixth episode live on Sky Atlantic or Now TV anything after 2 am uk time. Season 7 has been a hit and broke all kind of previous viewership records held by Game Of Thrones and although the Episode 4 was leaked it still managed to become the most watched Episode of game of thrones which is some achievement. Where can I watch Game of thrones Episode 6 of Season 7 ? 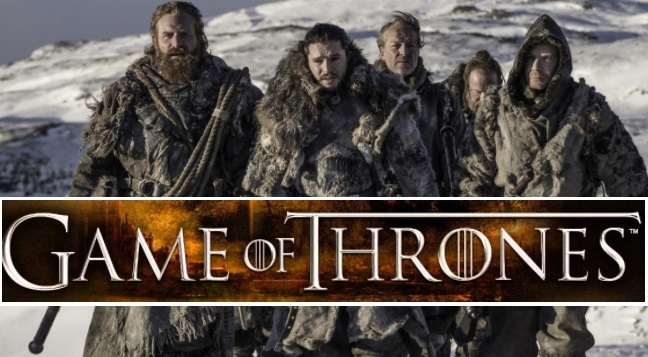 : In america HBO has the rights to broadcast game of thrones and they will be airing the penultimate episode of season 7 at the prime time slot of 09:00 p.m EST. While viewers in the UK can also watch the episode live on Sky Atlantic or Now TV anytime after 02:00 a.m uk time (early hours of monday morning). Episode 6 “Beyond the wall” Leaked ? Yes, the episode 6 has already been leaked and available on many sites online but we will not be spoiling anything for you here until the episode go on air. Episode 6 was mistakenly released online by HBO Nordic and people quickly downloaded and it spread online as you can imagine. Official Trailer of “Beyond the wall” The trailer obviously show Jon Snow and company heading beyond the wall to capture a wight and things go haywire. Episode 6 is allegedly 67 minutes long while the last episode will also be 70 minutes or more. After the Episode 6, there is only one left in the season 7 which will be aired on Sunday, 27th August 2017 and more details about the last episode of season 7 will be released on Monday with trailer. How to watch the Episode 6 Live Online ? : Well if you reside in a country where you don’t have live coverage or not coverage at all of game of thrones you are left with no chance but to either use VPN service and subscribe to HBO US or another country network which is showing game of thrones. While the second option is the either get live streaming link of HBO or wait for a few hours as many streaming/torrent site will have the entire episode video available. I believe the many leaks are intentional more like publicity stunts. It’s worked well so far but I don’t see why the strategy should continue.Make the final season truly epic and make us see only on schedule. Only back episodes should be available online.